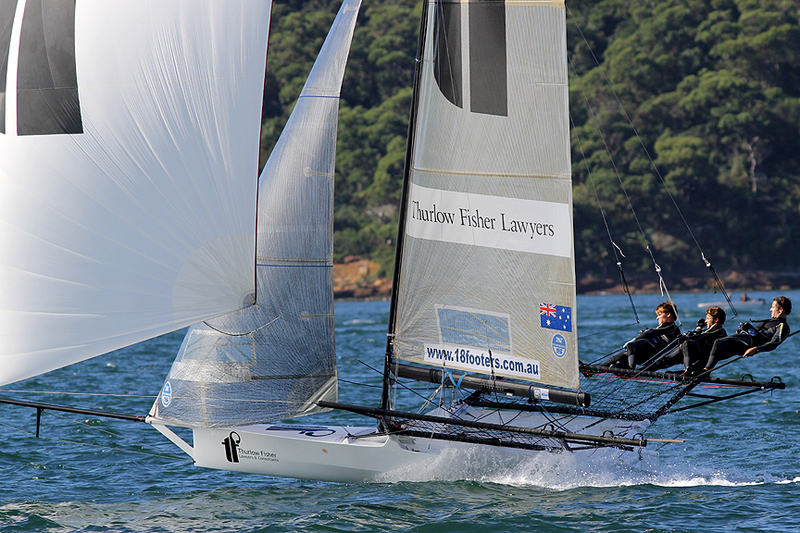 Gotta Love It 7 defeated Thurlow Fisher Lawyers by 53s today, with Mojo Wine (Chris Nicholson, Mike McKensey, Ricky Bridge) only three seconds further back in third place. 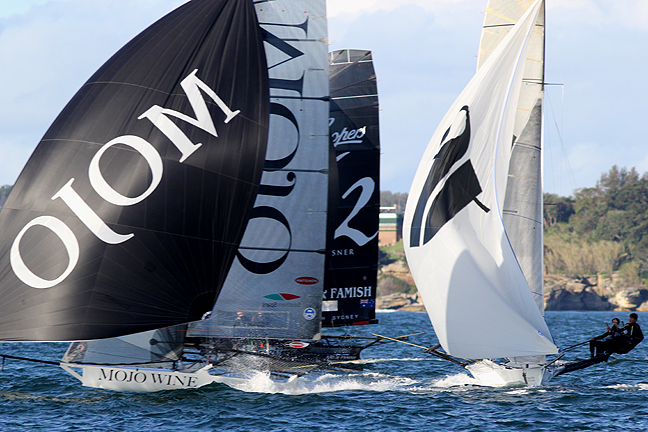 While Seven’s wins was clear cut, the race for the minor placings went right down to the wire as only 14 seconds separated the next three teams, Thurlow Fisher Lawyers, Mojo Wine and Coopers 62-Rag & Famish Hotel (Jack Macartney). 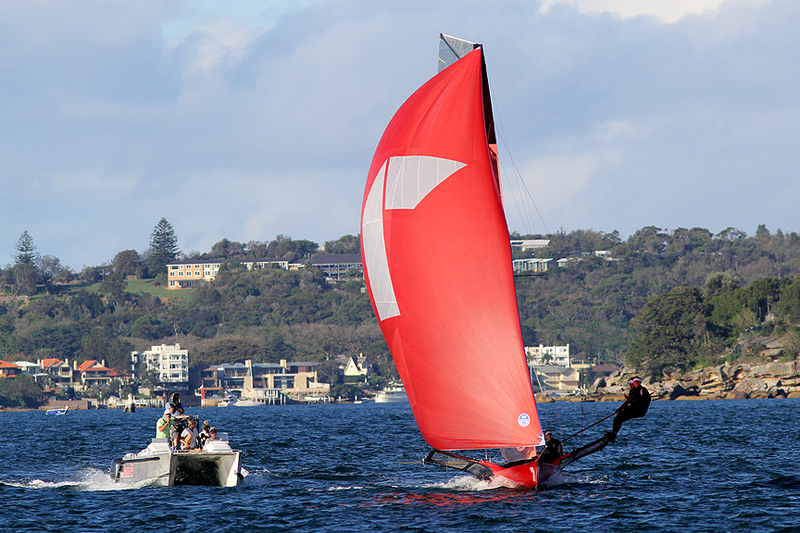 One thing that has come out of the regatta is the closeness of the competition with the exclusion of Gotta Love It 7. 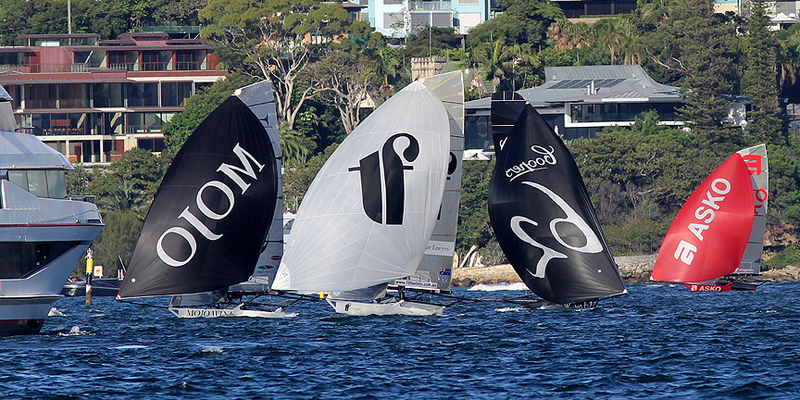 The race started in a 10-knot Easterly wind and clear sky with all teams rigged in their bigger #1 rigs. 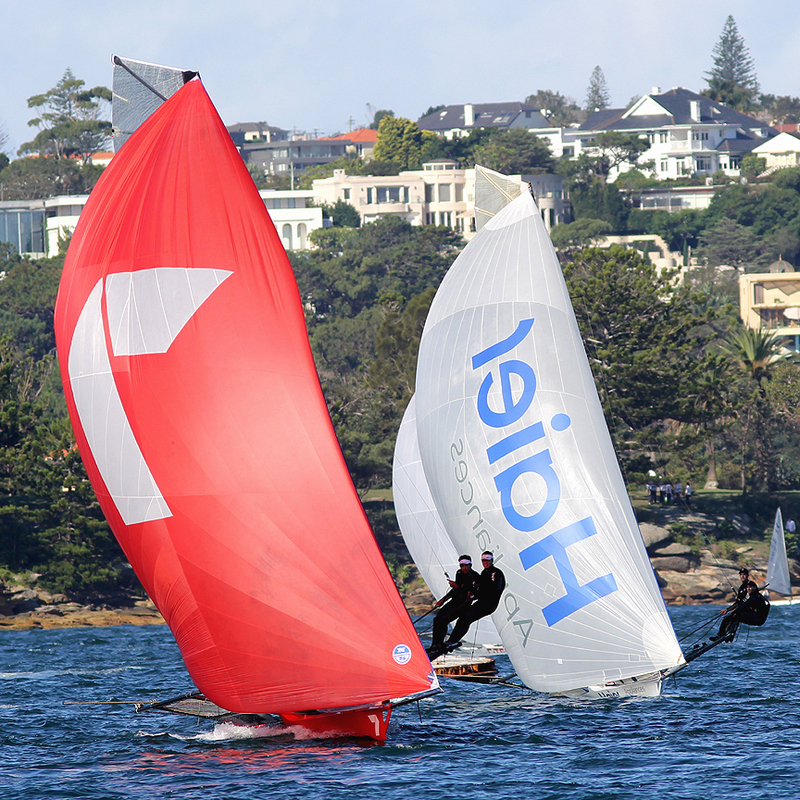 British teams Pica (Jamie Mears) and Haier Appliances (Rick Peacock) led the fleet across the harbour on a long port tack, while Smeg (Nick Press), Gotta Love It 7 and Layline Automation (Chip McCormack) were close behind. 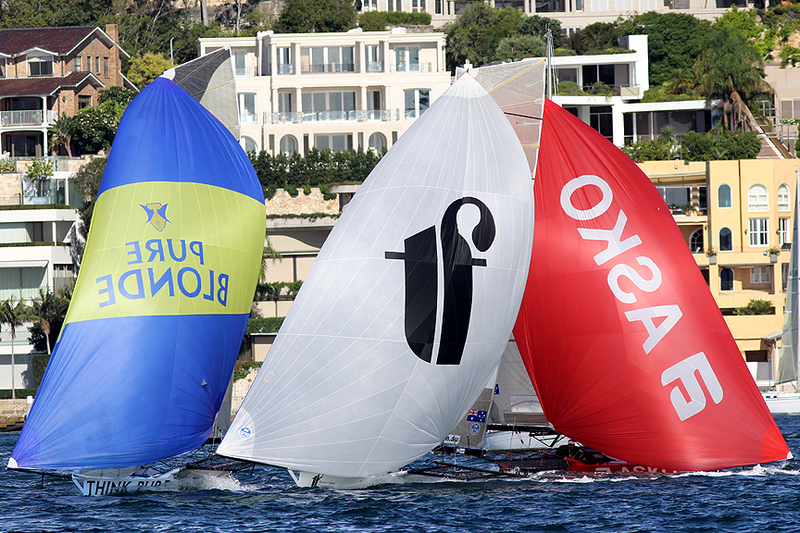 Haier Appliances applied pressure to Gotta Love It 7 on the spinnaker run to the wing mark off Clarke Island, but the ever-reliable ‘7’ opened up a break as the fleet rounded the bottom mark of the course. 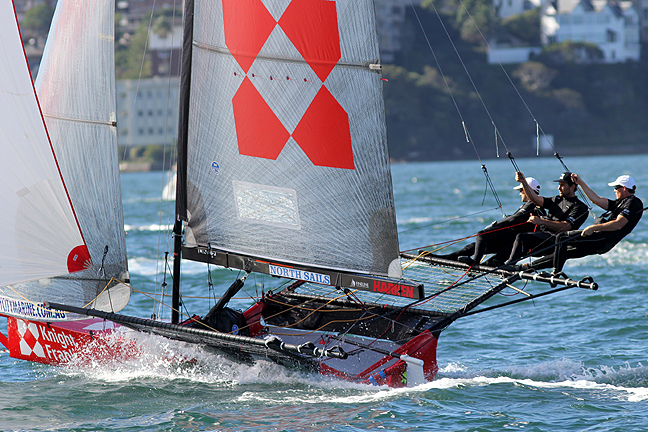 Once in front, it was a sure thing that, barring an accident, no team was going to catch the red boat. 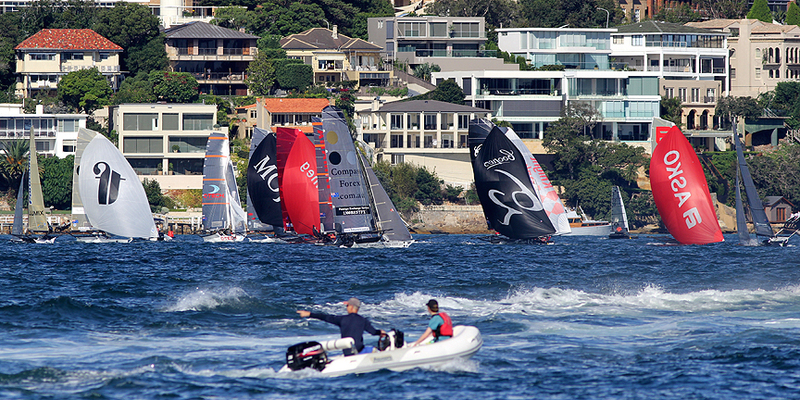 Mojo had her turn of chasing the leader when she took over second place from Coopers 62-Rag & Famish Hotel midway up the final beat. 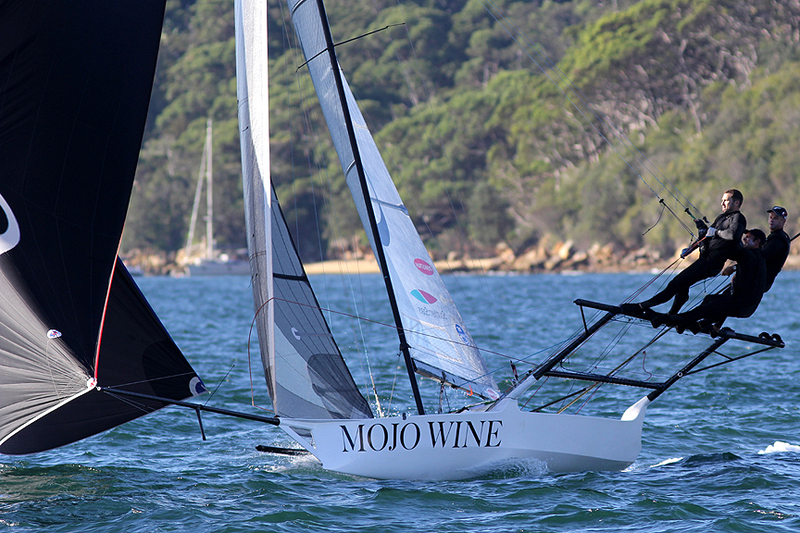 While those two teams battled it out, Thurlow Fisher Lawyers sailed a great course and joined Mojo Wine as the pair set spinnakers for the run home.